Summer might be blazing through the country but at some point it's going to get chilly again and you'll want to be prepared. Snow on the mountains, low temperatures and frost can all lead to icy evenings and freezing mornings. No one wants to be making snowmen in their living room. The most important thing in winter is to have a home heating system that works sufficiently, warming each room from floor to ceiling. You also don't want to be bleeding your pocket dry for electricity, gas or any other heating source so you need a system that is financially viable and energy efficient. The first question is which heating system is right for your home, depending on its size and type. Below we take a look at each type of heating system so that you can decide which will be the best for you. Radiant heating is simply the systems used to heat interior and exterior areas. In this gorgeous room, designed by CATO Creative, you can see the most simplest form of radiant heating—heat radiating from the sunshine warming a space up. Natural light is a wonderful way to produce radiant heating, even in winter. 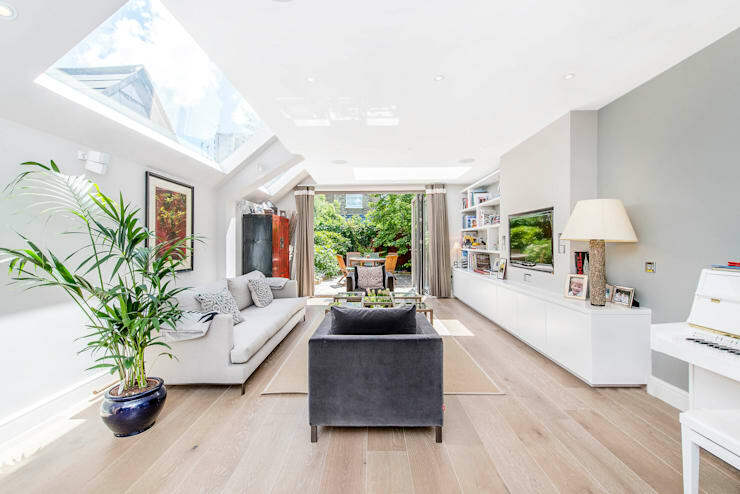 By incorporating skylights, large windows that face the afternoon sun and big doors, you can produce warmth in the most natural, energy-efficient and cheapest ways possible. Radiant heating technology uses this concept to create heat in a home, moving away from traditional heating methods such as radiators. Examples of radiant heating are radiant ceiling panels or electric underfloor heating. Radiant ceiling panels are a wonderful addition to a home, subtle and functional. Because the heating panels are on the roof, you don't have to worry about disguising ugly heating units. The other plus, as with a boiler, is that you can still introduce fresh air to a room while keeping the room warm and cozy. Choosing a heat distribution system can be confusing and complicated. There are so many varieties out there and often they can be an eye sore in your carefully designed and decorated home. No one wants their beautifully styled walls and floors crowded with ugly radiators or big gas heaters. An energy-efficient heating system is the best option as it is both gentle on the environment and easy on the pocket. 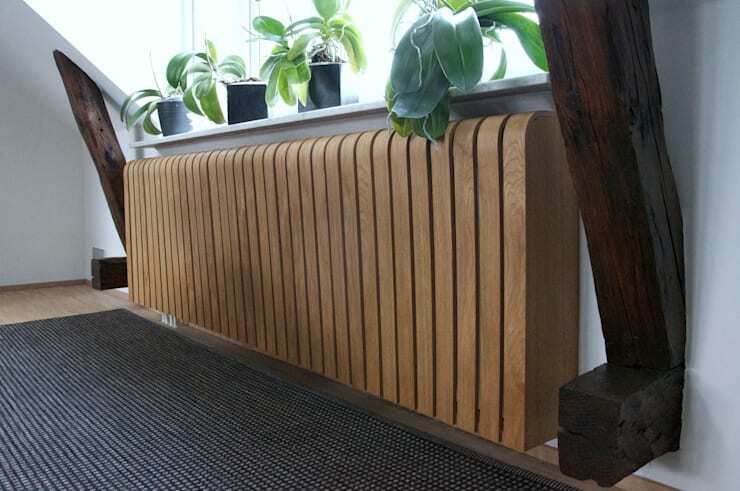 With so many architects and designers looking at ways go to green, you can find affordable and simple heating solutions that fall under this category. There are several types of heat distribution systems so do your research as it's not a one size fits all situation. You may even want the advice of an expert who can analyse your home. Size, the presence of energy-efficient doors and windows, insulation and air sealing all play a role. Going solar is a wonderful way to save money and warm up a house, while remaining energy-efficient and environmentally friendly. Solar heating systems work by using a dark surface to absorb heat from the sun, which then generates heat. This is making use of nature at its finest. There are several types of solar heating systems including solar geysers, solar cookers for food and solar pool heating. 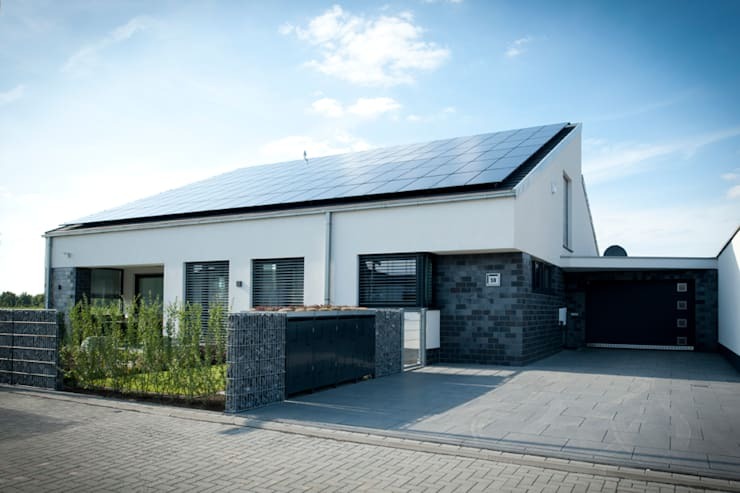 There are many companies in South Africa that offer solar heating solutions, providing you with a unique offering depending on your needs as well as the type of house that you live in. While there will be an initial cost in terms of setting up a solar heating system—including installing solar panels—the maintenance and the ongoing costs are incredibly low. 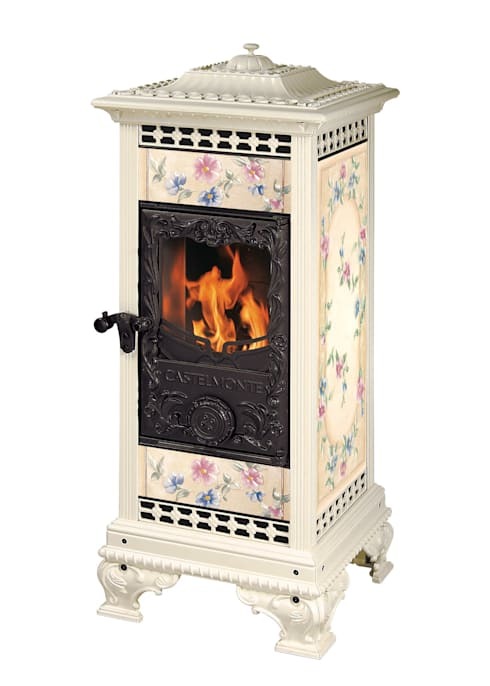 With electricity prices continuously being hiked in South Africa, this is the ideal solution for heating up your home. If you enjoy energy-efficiency, read these great tips on how to: Save Money By Improving Your Home Energy Efficiency. Electric resistance heating is one of the most energy efficient ways to produce heat in a home. It converts all incoming electric energy into a wonderful, warm heat source. There are many different types of electric resistance heaters including electric baseboard heaters and electric wall heaters. Baseboard heaters are controlled by thermostats and heat a room through the baseboard via metal pipes. This warms the room from the bottom up. Wall heaters are electric units fitted onto a wall, radiating heat. Electric heaters that plug into the wall are often used in South Africa for warmth, where either a fan or metal bars that heat up provide radiating warmth. The plus side is that you don't have to worry about having the unit fitted and you can move the heater around, depending where you are in the house. If you move house, you can also take the heater with you. The downside to electric resistance heating is the price of electricity, especially in South Africa. The other issue is that if there is load shedding, you have no way to heat up your home. Furnaces and boilers can be hot and handy in any room of the house, delivering heat throughout. The difference between a furnace and a boiler is that a furnace uses air while a boiler uses water. A furnace will utilise the ducts in a house to blow warm air throughout while a boiler pumps hot water through pipes to a radiator or an underfloor heating system. Boilers use gas, electricity, oil or even wood pellets to run. The choice between the two is really based on your personal preference. Do your prefer cuddling up in your living room with warm air blowing into the room or do you prefer to have the heat radiating from one, central area such as the floors or a radiator? Many South Africans opt for radiators or underfloor heating, going the boiler route despite the cost. This is because this is a very subtle and gentle heat provider while warm air flowing around a room can seem a bit suffocating and claustrophobic. The other plus is you can open a window and introduce fresh air into a room, while keeping the room warm. Using water to heat up floors or a radiator is more energy-efficient too. Today, with sustainable design methods, water used for heating can even be recycled. 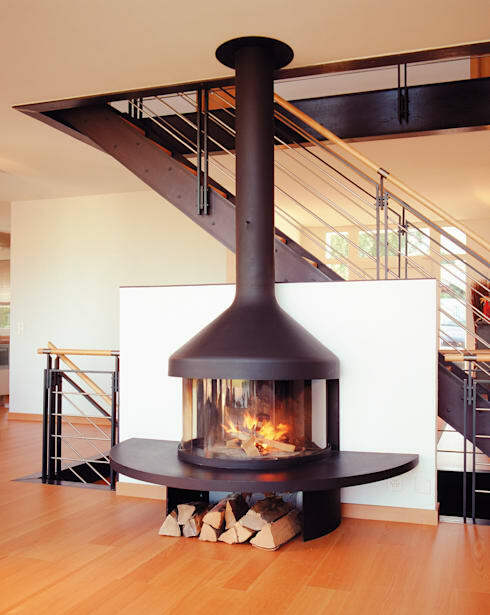 Wood and pellet heating are an incredibly energy-efficient way to keep your home warm over winter. Wood and pellet heating works the way that it sounds, where either wood or small pellets are inserted into the unit to create heat. What's important, however, to understand about these types of systems is that wood smoke is very bad for the environment and pollutes the air. This is harmful for your health as well. 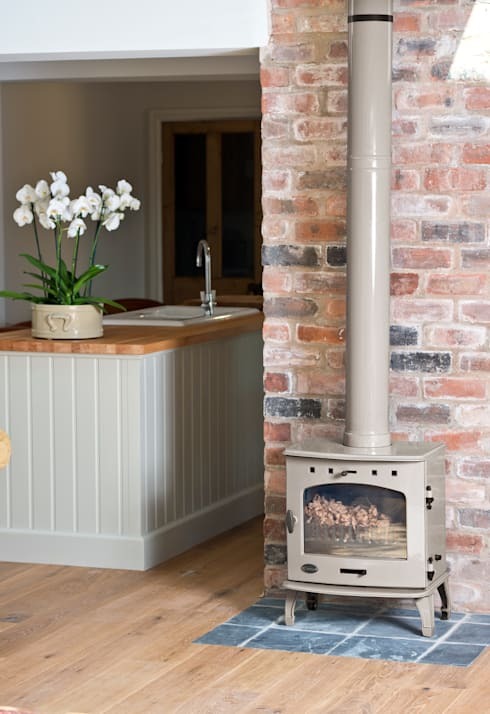 This type of heating system is easy to install and comes in different shapes and sizes, which means it can be ordered to suit your specific home. It is important to choose the right size for your home and smaller, if possible, is better. Bigger systems can overheat and waste fuel. That being said, a very small wood or pellet heating systems can be useless, providing very little warmth for the room. Considering the environmental factors as well as the trickiness around size, use a reputable supplier and ask them to install the unit properly and efficiently. You can also get an evaluation and some advice on what size your wood or pellet heating system should be. Don't go cold next winter but don't waste too much money either. Stay cozy and stay smart. Which type of home heating system would you choose for your home?